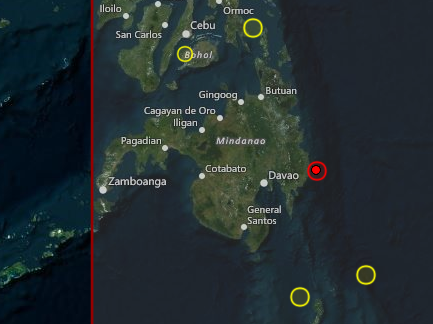 Earthquake Prediction: 4.6R in Philippines this morning! 4.6R in Philippines this morning! A small/medium by Philippines standard event came in this morning in the region of Mindanao, Philippines. We are expecting one tomorrow, but the window is open from today, as you can see from the calendar below.